Designed At – Hudson Wright Ltd. Published By – David Gilmour Music Overseas Ltd. Published By – Richard Wright Music Ltd. Published By – Nicholas Mason Music Ltd. The CD features CD Text. Managment Mark Fenwick, MFM Ltd.
"Dogs", "Wish You Were Here" and "Comfortably Numb" published by Roger Waters Music Overseas Limited administered by Artemis BV and David Gilmour Music Overseas Limited administered by Pink Floyd Music Publishers Limited. "Shine On You Crazy Diamond (Parts 1-8)" and "Breathe (In The Air)" published by Roger Waters Music Overseas Limited administered by Artemis BV, David Gilmour Music Overseas Limited and Richard Wright Music Limited administered by Pink Floyd Music Publishers Limited. "Set The Controls for The Heart Of The Sun" published by Westminster Music. "Time" published by Roger Waters Music Overseas Limited administered by Artemis BV, David Gilmour Music Overseas Limited, Richard Wright Music Limited and Nicholas Mason Music Limited administered by Pink Floyd Music Publishers Limited. 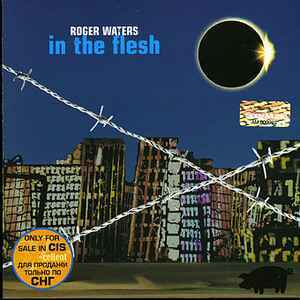 "The Pros and Cons of Hitch Hiking Part 11 (aka 5.06 a.m. - Every Stranger's Eye's)", "Perfect Sense (Parts 1 and 11)", "The Bravery Of Being Out Of Range", "It's A Miracle", "Amused To Death" and "Each Small Candle" published by Roger Waters Music Overseas Limited administered by Pink Floyd Music Publishers Limited. Has the "STOP PIRATES" logo on the back cover. Has a Sony Music hologram sticker on the front cover.